Experience (Willis) Read (1707-1787) is #259 on my Ahnentafel List, my 6th great-grandmother, who married #258 Isaac Read (1704-1780) in 1730, in Sudbury, Massachusetts. Experience Willis was born in about 1707 in Sudbury, Massachusetts, the second child of Samuel Willis and his second wife, Susannah Gleason, and was baptized on 10 April 1709. The article, "Willis Family of Sudbury, Massachusetts" by McTeer and Waters provides the estimated birth date and a baptism date of 10 April 1709 (extracted from the "Sudbury, Massachusetts, 1st Church Parish" record book which is available in manuscript form at the New England Historic Genealogical Society in Boston and on FHL US/CAN Microfilm at the Family History Library). Undoubtedly, Experience was named after her father's first wife, Experience Newell (1677-1703) whom he married in Roxbury in 1700. Experience Willis married Isaac Read on 11 February 1729/30 in Sudbury; record is in the Sudbury town records and the published Vital Records book[3-4]. Isaac and Experience (Willis) Read had eleven children between 1731 and 1753. Isaac and Experience Read are on the list of Sudbury church members who owned the covenant after the separation of the church, dated December 1730. Several of their children were subsequently baptized in the church. Isaac and Experience Read are also on the list of Sudbury church members on the west side of the river on 5 August 1753. At the start of the Revolutionary War, Asahel Read, youngest son of Isaac and Experience Read, was one of two Sudbury men killed on 19 April 1775 at Lexington. His body was brought to Sudbury, and probably was buried at Sudbury Centre. Isaac Read died and was buried on 28 May 1780 in the Sudbury church yard. Isaac Read of Sudbury wrote his will on 15 May 1780, and it was proved on 14 June 1780. He named his wife Experience and bequeathed all indoor moveables to her, except for the clock which he bequeathed to son Jacob Read after his wife's decease. The death of "Mrs. Read, consort of Isaac, age 80" was reported in Jacob Bigelow's Record Book as 26 August 1787 in Sudbury[8-10]. 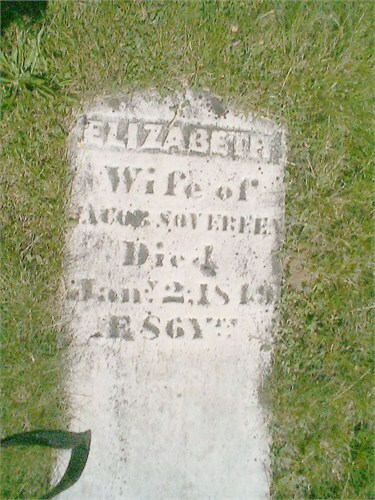 Her burial location is not known, but was probably in the Sudbury Church yard with her husband. There is no known probate record for Experience (Willis) Read. 1 . Francis (David) McTeer and Frederick C. Waters, "Willis Family of Sudbury, Massachusetts," New England Historic Genealogical Register, Vol. 114, No. 1 ((January 1960), pages 20-42 , page 32, Experience Willis sketch, birth entry. 2. Francis (David) McTeer and Frederick C. Waters, "Willis Family of Sudbury, Massachusetts," New England Historic Genealogical Register, Vol. 114, No. 1 ((January 1960), pages 20-42 , page 32, Experience Willis sketch, baptism entry. 3. Francis (David) McTeer and Frederick C. Waters, "Willis Family of Sudbury, Massachusetts," New England Historic Genealogical Register, Vol. 114, No. 1 ((January 1960), pages 20-42 , page 32, Experience Willis sketch, marriage entry. 4. Vital Records of Sudbury, Massachusetts to the year 1850 (Boston, Mass. : New England Historic Genealogical Society, 1903), Marriages, page 256, Isaac Reed and Experiance Willis entry. 5. First Parish Church (Sudbury, Mass. ), Church Records, 1704-1956, Sudbury, Massachusetts, Family History Library, on FHL US/CAN Film 0,185,464, page 45, Isaac and Experience Read entries. 6. First Parish Church (Sudbury, Mass. ), Church Records, 1704-1956, Sudbury, Massachusetts, Family History Library, on FHL US/CAN Film 0,185,464, pages 27-28, Isaac and Experience Read entries. 7. Jacob Bigelow, The Record Book of Jacob Bigelow, 1772-1800, Family History Library (on FHL US/CAN Microfilm 0,185,462), frame 29, Isaac Reed membership entry. 8. "Probate Records 1648-1924 (Middlesex County, Massachusetts)," 886 FHL US/CAN Microfilms, Probate Packet 18,507, Isaac Read of Sudbury, on FHL Microfilm 0,421,500. 9. Jacob Bigelow, The Record Book of Jacob Bigelow, 1772-1800, frame 13 of 46, Deaths, "Mrs. Read, consort of Isaac age 80" entry. 10. Francis (David) McTeer and Frederick C. Waters, "Willis Family of Sudbury, Massachusetts," New England Historic Genealogical Register, Vol. 114, No. 1 ((January 1960), pages 20-42 , page 32, Experience Willis sketch, death entry.